Satya: I took the training because after practicing for over 10 years I saw how it helped transform people to be all they can be so quickly. Satya: This Festival is so magical. The people the teachers the food the music and all the energy combined recharges me like nothing else. 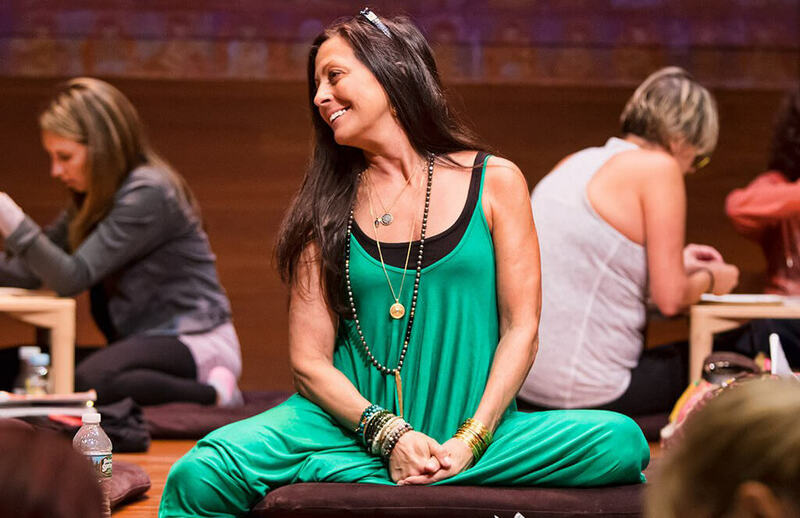 Satya: My Kundalini Yoga family is my soul family our connections are so deep and we share this powerful practice that connects us. Satya: I love all of it!!!! Satya: I love yoga, hiking, making jewelry, writing and travel. Satya: Yoga and meditation, of course. Satya: The idea of healing people find there truth and own power to find happiness in their lives. Satya: I love so many. Mool Mantra is what I wake up to. 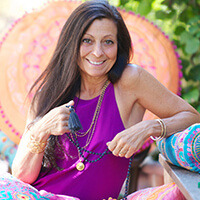 Come and explore the sacred art of mala making with Satya Scainetti, Founder of Satya Jewelry and learn how malas are used in daily practice to help manifest miracles. Creating a personal mala works to open the heart and serve as a talisman for empowerment and well-being. During this powerful and inspiring workshop we will focus on tapping into our individual Truth and explore how we can use this to collectively be the change in the world. Each attendee will use their intuition to select a healing gemstone for their bracelet mala and the infuse intention and prayer into each stone, leaving the workshop with a beautiful one-of-kind bracelet mala and 40 day meditation to inspire them on their journey.